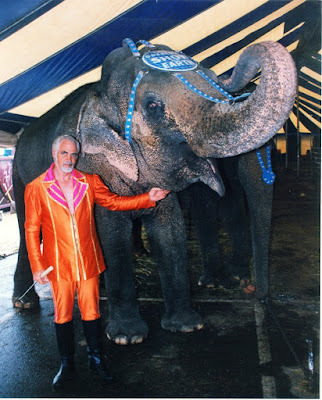 "Siam" who had been on the Ringling Show since 1955, Great Elephant. They threw this outfit together overnight resulting in me being snidely referred to as "The Great Pumpkin! And to think that Mack once refused to dress as Santa Clause for one of their Ed Sullivan performances. Sullivan never got over it, and I think it showed. Ed Sullivan's book said he always got his way. Did somebody say, "That's showbiz!"